The Ultimate Pregnancy & Baby Guide - Honest Advice For New Moms From First Time Parents Who've Been There, Tried That! Plus Baby Shower Ideas And Gifts, Helpful Facts For Pregnant Women Seeking Healthy Pregnancy Tips And Parenting Advice - Real people. Real experiences. Real helpful. Which nursery items do you REALLY need? A mom of 3 tells you what to avoid when shopping for and designing your baby’s nursery. 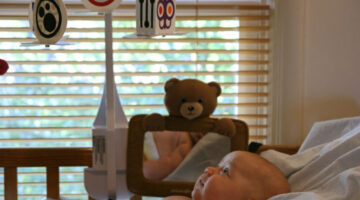 See the bare minimum things you need, and a list of things you don’t need for the baby’s room. A friend asked me for a list of the best baby shower gifts under $50 for her expecting friend. Here are 20 or so baby gifts that I actually received as a new mom, and I use each one of them! I feel these are not only useful, but thoughtful — because every time I use the item, I think of the person who gifted it to us. Thanks to the Ergobaby 4 position 360 carrier that I received as a baby shower gift, I am able to be somewhat productive with a needy and heavy baby by my side. There are 4 different ways to carry baby, and the Ergo 360 carrier has lots of unique features! Whether you have issues with regular (traditional) pregnancy products or not, there’s just something special about wanting to protect your baby’s health and pureness from conception to birth. I’ve got some great suggestions for you… that helped me when I was pregnant and looking for organic pregnancy products on a budget. See which ingredients in foods & beauty products are safe to use during pregnancy. Pregnancy Leg Cramps 101: How To Prevent Leg Cramps During Pregnancy + How To Get Leg Cramp Relief Fast! Leg cramps can be excruciatingly painful. They’re one of the most common side effects of pregnancy. Here are 10 ways to prevent pregnancy leg cramps. Plus, 5 ways to get leg cramp relief quickly once the cramping starts. Try these easy home remedies, pregnancy stretches, and simple diet changes. As your pregnancy progresses, it becomes easier to determine the different baby positions your little one is enjoying inside the womb. Here are the most common signs that indicate your baby’s fetal position at any given moment. Yes, you can look for these yourself to determine your baby’s position right now! A look at some of the methods of inducing labor naturally. We dispel some of the old wives tales from those methods that are truly the most effective. See how to stimulate the production of certain hormones in your body in order to encourage labor yourself. These are the best natural ways to induce labor on your own. Find out the odds of your water breaking at home, rather than in the hospital. My experience, plus what I’ve learned about water breaking during pregnancy – to help calm your fears. My 2-year-old wants to ride his Big Toys Green Country Jeep every time we’re playing in the yard! Here’s our honest review of this fancy, expensive, remote control ride-on Jeep — including the pros and cons. The Radio Flyer 4-in-1 trike is adjustable in so many ways… it grows with your toddler! My son is almost 2 years old and we’ve found that the Radio Flyer tricycle is a great alternative to a traditional stroller. Here’s my review of this toddler trike – including the pros and the cons. If you’re the parent of a 2-year-old boy like I am, chances are your friends & family will ask what you recommend they buy for your son’s birthday, Christmas, or other special occasion. If you happen to be a grandparent or friend of the family, then you’re probably wondering which gifts for little boys are most needed at this stage. Here’s a first-time mom’s list of the best gifts for 2-year-old-boys. The baby shower diaper wreath is a great baby gift for these reasons: 1) It provides fun decor for the party. 2) It includes the gift of diapers for the baby. 3) The wood letters can be repurposed and used in the baby’s nursery. 4) The metal wreath can be used as a base for another wreath later — when the new mom feels like being creative. Here’s how to make a baby shower wreath yourself. A huge list of free baby stuff that new parents can receive (at no charge) just for asking! I do my best to keep this list of free stuff for moms updated. Stay up-to-date with what's happening on The Pregnancy & Parenting Guide. If you're a first time mom, then you'll appreciate these helpful Pregnancy, Labor, and Delivery tips. Plus, personal advice from parents about Raising Babies and Toddlers. You'll always be the first to see our helpful ideas as soon as we publish a new article.